We had a client contact us with an interesting problem. 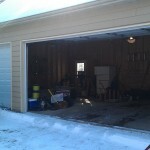 The house was built with a three car garage, a 16′ garage door and an 8′ garage door. 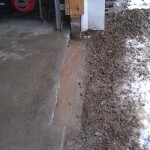 The problem was that the driveway wasn’t wide enough to make the turn into the garage. 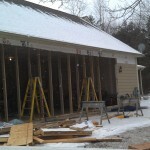 The solution, We removed the 16′ and the 8′ doors, removed the existing headers, framing and siding. 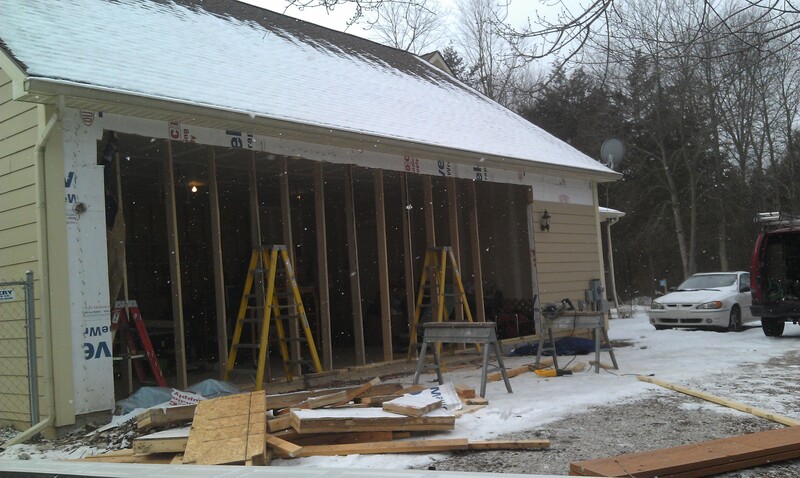 We then installed new doubled 14″ LVL’s, frmaing and hardi plank siding. 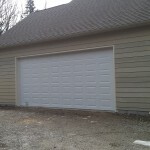 A new 18′ insulated garage door soon followed. This allowed enough room for the clients to get both of their cars in the garage.